Hide/Show ManyCam – minimize the ManyCam window to tray. Full Screen Broadcast – allows you to see your live output video in a separate full-screen window. 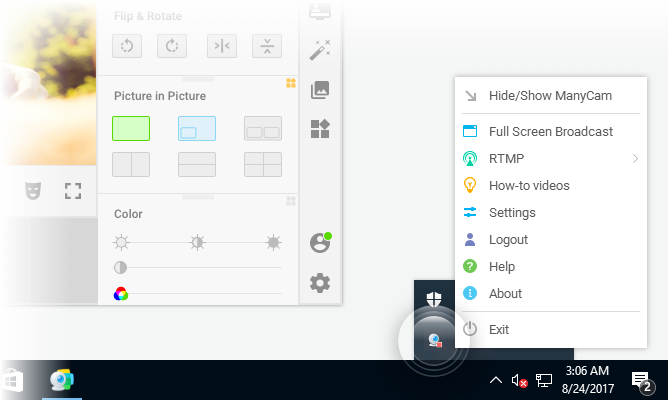 For example, you can drag this window to another monitor and use it with a projector. RTMP – opens ManyCam RTMP Settings window. 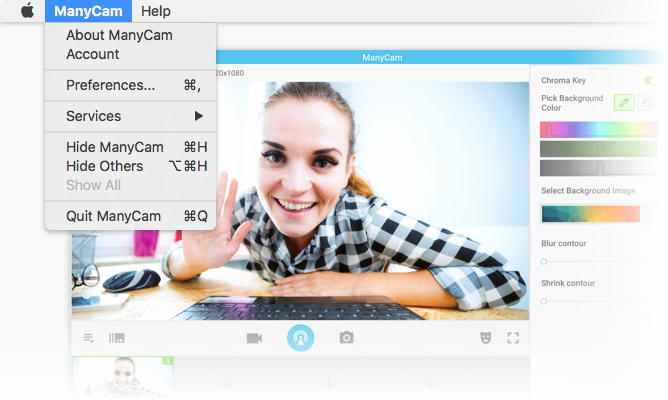 How-to videos – opens ManyCam Help page with the videos. Account (Mac)/Login (Windows) – opens your Account and Subscription settings. Settings/Preferences – opens the ManyCam Settings window. Help – opens the ManyCam Help page on the website. About – shows the ManyCam version, copyright information and a shortcut to the manycam.com site.